After the massive post on Windows/386 last week I promised a return to regular service the following week. Unfortunately I caught a stomach bug this week and by the time I recovered I didn’t have time to come up with a full post. So instead, here’s a post of “odds and ends”, neat things that might not make it into a full length post. 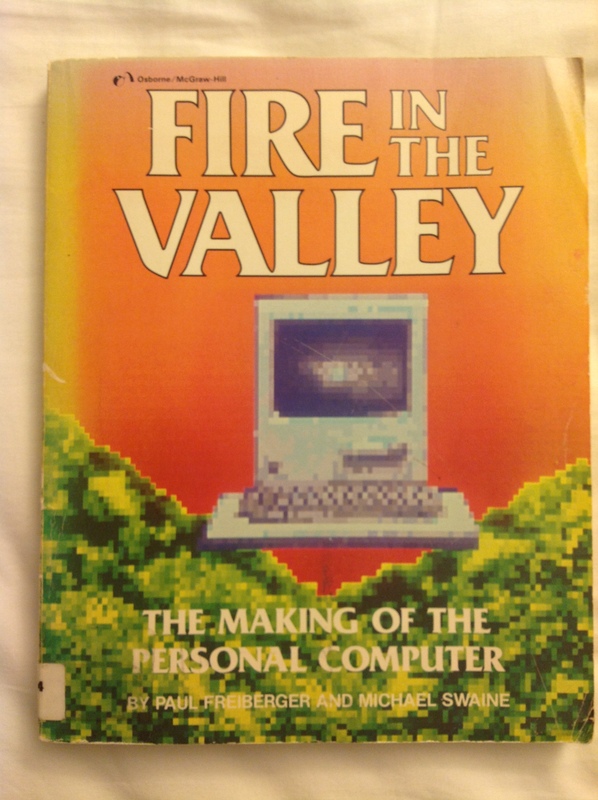 After last week’s post Twitter user (and all around fascinating dude) @scottcarson1957 recommended that I read Fire in the Valley by Paul Freiberger and Michael Swaine, about the early years of the personal computer from about 1975 to 1984 when the book was written. I ordered a copy from AbeBooks and it arrived Saturday morning. This copy looks like it came out of a public school library, which has a neat kind of charm. I believe Fire in the Valley was the basis for the awesome TNT movie Pirates of Silicon Valley, a movie I adore. On Saturday I was delighted to feel well enough to go to the Friends of the Cuyahoga Falls Library book sale where in the past I’ve had really great luck finding cool sci-fi books for peanuts. Isaac Asimov is always well represented. The Friends of the Library organization has this large room in the basement of the Cuyahoga Falls Library where they collect books for sale and twice per year they let the public come in and buy them at very low prices. This time we got there after 3PM, which is when they start doing their “fit as many books as you can into a bag for $3” sale. The selection was still very good for the sale being so close to the end. As I made my way to the sci-fi section I passed the history and war sections and spotted a copy of The Codebreakers by David Kahn, published in 1967 (this copy is a Fourth Edition from 1968). I remembered there was something special about this book and that for some reason it was difficult to get so I immediately grabbed it and put it into my bag. When I got home and googled it I remembered…This book was discussed in Steven Levy’s Crypto as being one of the first public histories of cryptography. When I read Crypto I thought “gee, I should own a copy of the The Codebreakers” but then I looked up the book…It’s not that it’s difficult to get it’s that for some reason it’s bloody expensive! A new copy basically costs $45 whether you want the hardcover or the eBook. A $45 eBook! A used copy of the hardcover is still over $20! I don’t care how important a book is, that’s highway robbery. 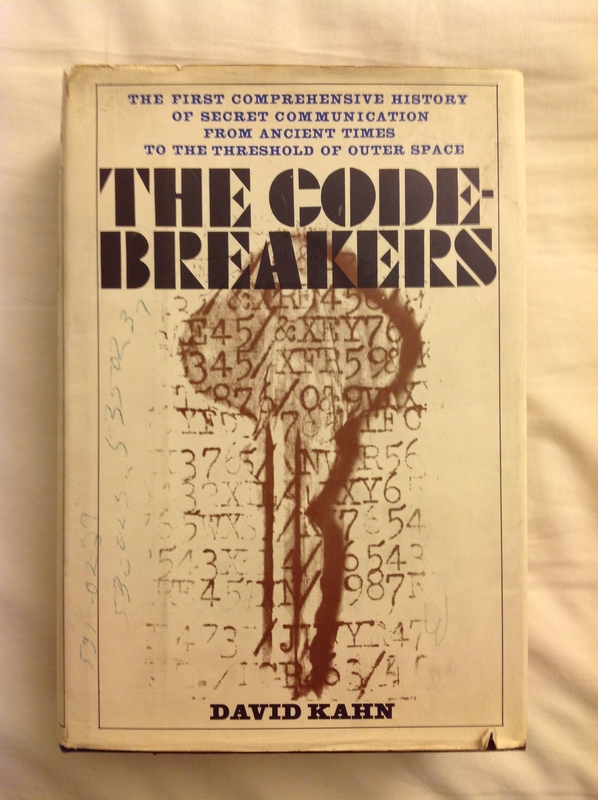 So, I’m very glad I picked up a copy of The Codebreakers as part of my $3 bag of books. 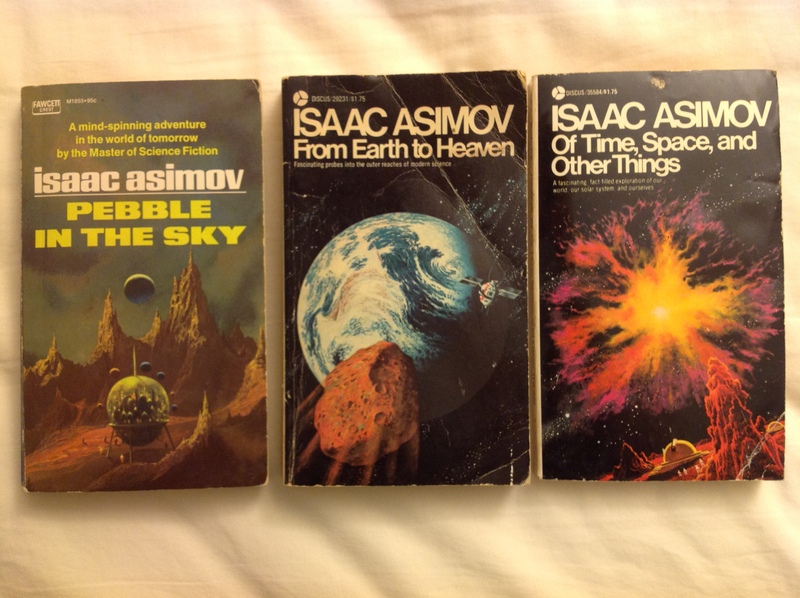 Pebble in the Sky is the first of the classic novels he wrote early in his career, but those two other books are collections of science fact writing he also did. It’s oddly not that well known that Asimov was a terrifically prolific fact writer. There was a series of collections of his science fact articles from The Magazine of Fantasy and Science Fiction published under the Discus imprint by Avon Books in the 1970s and From Earth to Heaven and Of Time, Space, and Other Things are the seventh and eighth in the series I have found. CED, you may recall, was the Capacitance Electronic Disc System, RCA’s entry into the early-1980s home video format war that also brought us VHS, Beta, and LaserDisc. Of the various losers of that war, CED was probably the most sad loser. VHS, of course won. Beta gave the world slightly better video quality and was still recordable. LaserDisc was a very adaptable format that soldered on until the advent of DVD as the format with the highest quality analog video. CED basically had no advantages. It was not recordable but did not have better video quality as LaserDisc did. It used a needle that had to physically touch the surface of the disc so over-time the video quality of a disc would degrade. The discs are held in the bulky plastic caddy you see in the photo. 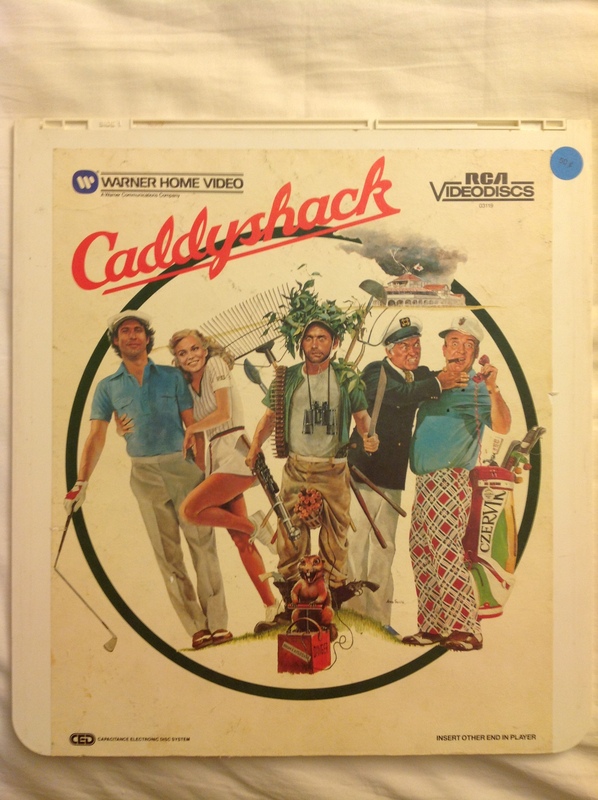 You would insert the caddy into the player and the player would sort of eat the disc while you removed the caddy. At the moment I do not own a CED player. 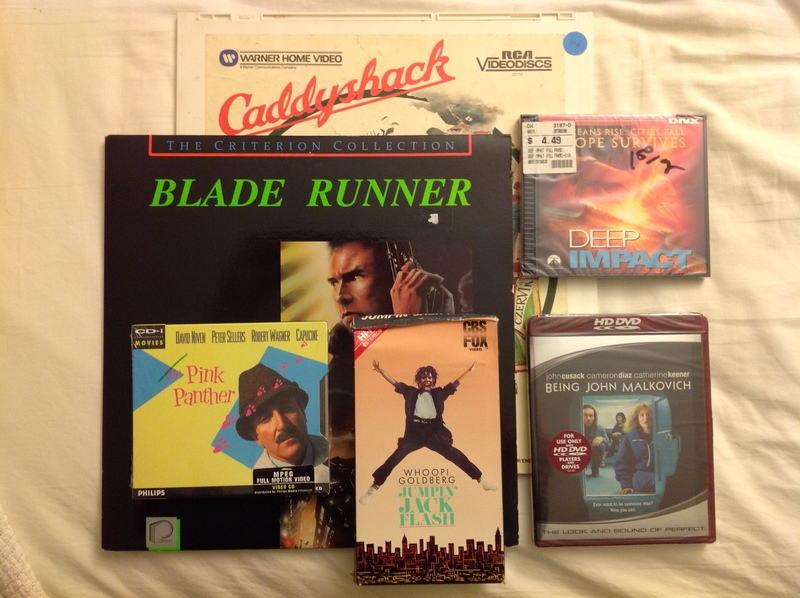 Here you see Caddyshack on CED, Blade Runner on LaserDisc, The Pink Panther on Video CD, Jumpin’ Jack Flash on Beta, Being John Malkovich on HD DVD, and Deep Impact on DIVX (full-frame DIVX for maximum awfulness). The practical reason for owning these things is if I happen to find a player at a thrift store I want to already own a test article. The silly reason is that I just think it’s hilarious.